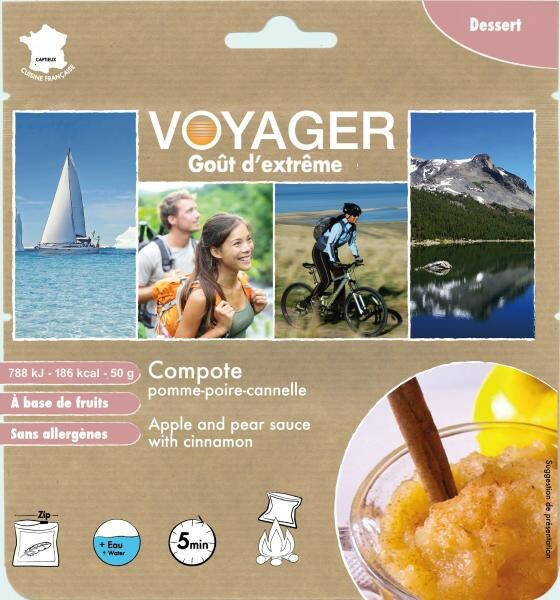 The Apple and pear sauce with cinnamon is a nice gourmet dessert for your holidays into the wild. Cinnamon brings antioxydants and helps for a better carbohydrates assimilation. Apple flakes 69,8%, pear flakes 20%, caster sugar 10%, cinnamon 0,2%. No allergen in the product.